At one time, Case Logic CD cases were a ubiquitous product found in every music collector’s household. In recent years, though, the Boulder, Colorado brand, which was founded in 1984, has expanded their product line to manufacture bags for tablets and e-readers, laptops, camera, and phones. Since then, Case Logic has built fine reputation and attracted clout-like following among the IT or geek community. The reason? It is none other than the brand’s solid record in producing sturdy, durable backpacks mainly designed with gadget-carrying users in mind. The DLBP-series Backpack, with its laptop compartment, is a fine example of Case Logic’s integration of their traditional storage expertise in a product they have recently added to their repertoire. 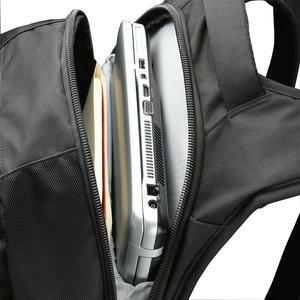 Measuring 17.3″x6.3″x13.4″ (LxWxH), the Case Logic DLBP-114 is an excellent option for people needing a backpack that can comfortably hold a laptop that has a screen up to 14.1″. According to the official spec, the DLBP-114 is designed to fit in the 13-inch or 15-inch Macbooks. For those with bigger laptops, you may want to go for the bigger sibling, DLBP-116. Coming in at 16.7″x9.5″x14″ (LxWxH), the DLBP-116 caters to those bigger laptop models with screen size up to 16″. The backpack is great for travelers, too, as it has a zippered off safety pocket that secures your passport, airline tickets, and personal identification. No, it is not the most TSA Checkpoint-friendly option but it offers high degree of convenience for travellers nonetheless. The DLBP-series comes with several side pockets which offer easy access to other items, like keys, a novel, or a snack. The front pocket of the DLBP-series has an organizational panel that has separate compartments for your mobile device, iPod, charger cords, and other electronic essentials. For your more fragile personal effects, like a touchscreen phone or a pair of expensive sunglasses, the knapsack has a top pocket that is lined with scratch-resistant fabric. One of the most important areas of any backpack is its padding. In this area, Case Logic does not slouch – the DLBP models has quilted shoulder strap padding as well as additional Air Mash back padding to minimize the strain a full pack can put on the wearer’s back. 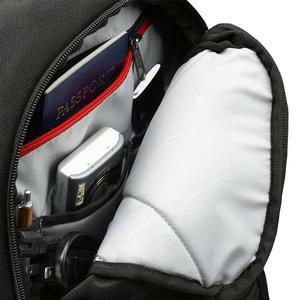 A strap management system keeps the backpack’s extra coils of strap tight and secure. Like all of Case Logic’s products, the DLBP-series is PVC free and environmentally responsible. 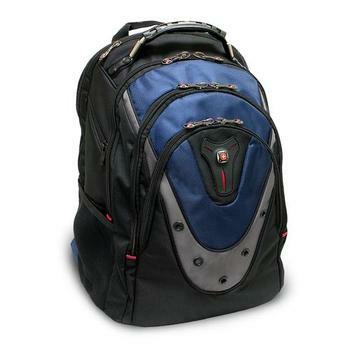 The backpack’s exterior is constructed of rugged, super light, water-resistant polyester. In fact, Case Logic feels so confident about the durability of their product that they have placed a 25 year warranty on the DLBP-series backpacks. One of my favorite aspects of the DLBP models is the zippers. In the past, I have has issues with flimsy zippers becoming separated from their teeth, or even worse, completely falling off from the pocket. Which is why I like the zippers Case Logic used on this laptop-friendly pack – they are thick, have some heft, and make that loud “zip” noise when you are closing or opening pockets. As a frequent flyer (and someone who likes to travel light), the DLBP-series is ideal for my needs. More specifically, the backpack is not too large to fit in an overhead plane compartment, nor is it too small that I cannot fit all of my electronics and travel essentials in it without straining the pockets. 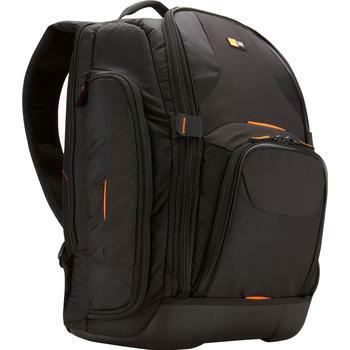 Case Logic backpack reviews written by other customers indicate that other customers, like me, are a fan of this knapsack’s heavily-pocketed, extremely organized interior. When you are as plugged in as I am, it is difficult to keep track of all the cords and chargers you need. Well, the DLBP-series design makes separating everything easy, because it has a specific pocket for each device and its attendant parts. 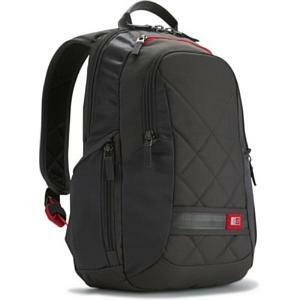 Other Case Logic backpack reviews suggest that the DLBP’s shoulder straps are not comfortable enough. The straps are not particularly well-cushioned. Some went on to suggest the use of gel padding to improve this, but the idea has been rebuked some other who feel that doing so would compromise the bag’s lightness. As an environmentally conscious individual, one of my favorite aspects of Case Logic’s products is that they are free of PVC. On that same token, though, I like to carry an eco-friendly washable metal water bottle with me as I go about my day. Unfortunately, though, the DLBP-series does not have a side pocket that can hold a water bottle or beverage. Although my DLBP-114 has held up fine for me, there are several customers unsatisfied with the knapsack’s durability. In particular, many buyers report having the backpack’s top strap ripped off after only a few weeks of use. If you need to carry large textbooks or large 17-inch laptop, this bag is certainly not the best backpack for that matter. Be sure to take note of the bag dimension. Though the DLBP-116 is generally larger compared to the DLBP-114, its length is smaller (16.7″ vs 17.3″). If you have a textbook with width size of more than 17″, the DLBP-116 will not fit while the DLBP-114 will. Review is just a review. It is meant to give you a better understanding of the product. I believe you now have the sufficient information to make the call. 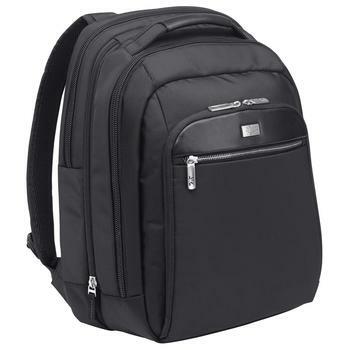 No doubt the Case Logic DLBP-series has earned its place among the most popular laptop backpacks but that does not make it the perfect backpack for every individual.